WESTFORD, Mass., October 2, 2018 – Hitachi High-Tech Analytical Science Corporation (Hitachi High-Tech Analytical Science), a Hitachi High-Technologies Corporation (TSE: 8036) wholly owned subsidiary engaged in the manufacture and sales of analysis and measuring instruments announces a new partnership with LABCONTROL, a superior analytical firm focused on elemental analysis amongst Brazil’s booming high-technology landscape for over 23 years. 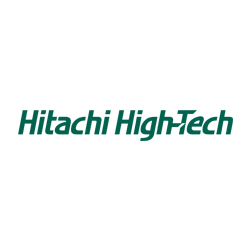 LABCONTROL is now Hitachi High-Tech’s exclusive distributor in Brazil. LABCONTROL has supported its customers in this region with years of analytical expertise and good service, and they bring with them a devoted customer base. This newly established partnership was debuted at this year’s Metalurgia, taking place on September 18-21 in Joinville SC, Brazil. Metalurgia is the largest biannual conference and exhibition for the foundry industry in Brazil and it brings to the region highly educated individuals that work in the foundry sector, as well as those individuals focused on engineering and automotive sectors. This show focuses on innovations and new technologies for the metal production market and it is a strong fit for Hitachi High-Tech’s portfolio, as metal production plants use Hitachi instruments for quality control during all phases of metals production. The technologies behind the instruments they manufacture are Optical Emission Spectroscopy (OES), X-ray Fluorescence (XRF) and Laser-Induced Breakdown Spectroscopy (LIBS), which are field-proven techniques within the metal production industry used for improved quality and safety. Joinville, SC is an ideal location for the show since Brazil is globally recognized as the 7th largest country for foundry production of cast iron plus the region supports a wide range of industry suppliers. Most of the world’s largest global car manufacturers have a presence in Brazil, making for a very optimistic future in the region for metals production in the automotive industry. This new collaboration strengthens and expands Hitachi’s High-Tech’s reach in Latin America. Brazil is the largest country in Latin America, recognized as the largest economy within the region. With the reputation of being an established hub for technology, Brazil is also known for the production of their steel products serving the automotive industry. Hitachi High-Tech has long desired to expand sales in Brazil, but it really took finding the right partner and expertise to represent our products. With this strategic alignment in place, LABCONTROL will focus on selling the full product range of Hitachi’s analytical products into relevant markets. We have been looking for the right channel partner in this region for some time. We are excited to welcome LABCONTROL as our distributor in Brazil. They bring many years of experience and knowledge selling into Brazil across numerous markets and sectors. They were recently selling for a competitor and decided Hitachi High-Tech is the company that they wanted to align with. We look forward to having their professional expertise to sell and support our analytical instruments. FM EXPERT, PMI-MASTER, FOUNDRY-MASTER and TEST-MASTER range of analyzers are used by industries the world over for fast and precise metals analysis. Featuring optical emission spectroscopy technology, all important elements with low detection limits and high precision can be determined, including carbon in steel and all technically relevant main and trace elements in nearly all metals. X-MET8000 handheld analyzers, used by thousands of businesses to deliver simple, rapid and non-destructive analysis for alloy analysis, scrap metal sorting and metal grade screening using precision XRF technology. Vulcan handheld analyzers, with LIBS laser technology, identify metal alloys in just one second, making it one of the fastest analyzers in the world. This hugely benefits businesses processing high volumes of metal. X-Strata and FT range microspot XRF analyzers measure coating thickness of single- and multi-layer coatings including alloy layers and are designed to be incorporated into quality control or process control programs, as well as research laboratories. Lab-X5000 and X-Supreme8000 benchtop XRF analyzers deliver quality assurance and process control across a diverse range of industries such as petroleum, wood treatment, cement, minerals, mining and plastics. Hitachi High-Technologies Corporation, headquartered in Tokyo, Japan, is engaged in activities in a broad range of fields, including Science and Medical Systems, Electronic Device Systems, Industrial Systems, and Advanced Industrial Products. The company's consolidated sales for FY 2017 were approx. JPY687.7billion (USD6.3billion). For further information, visit http://www.hitachi-hightech.com/global/.